SCM’s Grand Terrace table is widely used by the food service industry. 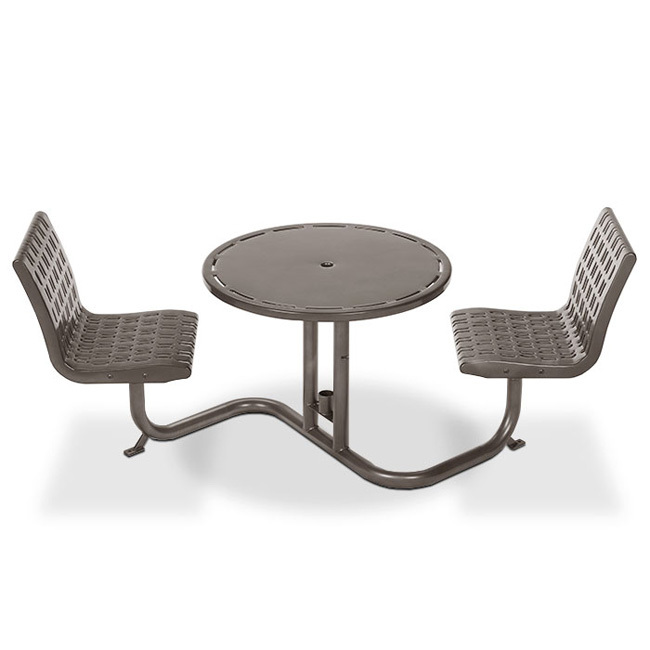 A 2 3/8″ round steel painted frame with individual step-in chair seats make it a dining pleasure. Seats are stationary or swivel with 20″x24″ steel chairs.